IntelligentHQ.com in partnership with Groupe INSEEC London presents: A Beyond Solutions Boardroom Interview with 3 Beards, hosted in the Members Club at Level39 in Canary Wharf. From commitments to infrastructure improvements through to making available more visas for skilled workers, the UK Government has been backing some relatively successful efforts to attract new or added presence from some of the ‘big players’ to London in support of the tech industry in general and our start-up culture in particular. London’s Silicon Roundabout has since spawned more than 1500 new companies in the EC1 postcode area and has since continued to outgrow this local boundary. While this local evolving ecosystem offers newcomers accessibility to Europe and a stable financial market, Technology clusters are also scattered across the United Kingdom with notable examples including Brighton, Manchester and Bristol. As these centres continue to evolve in terms of scope and sophistication, they both draw from and add to the inspiration and buzz that London exudes! The numbers don’t lie and the direction makes perfect sense. Regardless of the geography, supporting technology-focused or technology-enabled start-up businesses (a space currently supporting tens of thousands of jobs and billions of pounds in revenue across the UK) is a clever approach as both a short-term tactical and a longer view strategic position to work towards bolstering and growing our economy. he also isn’t completely correct: social drives cultural which in turn drives communications and the 3Beards are making a difference in that space, here in London and, lately, well-beyond. With a start-up focused portfolio that includes the weekly Silicon Drinkabout, monthly Don’t Pitch Me, Bro! 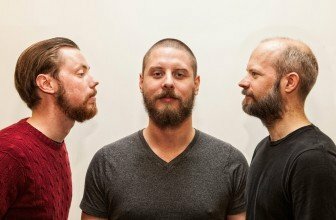 (which is all about all about startups demoing products for crowd-sourced constructive feedback and quarterly Digital Sizzle events, 3beards is a content, promotion and events company that is on the move. 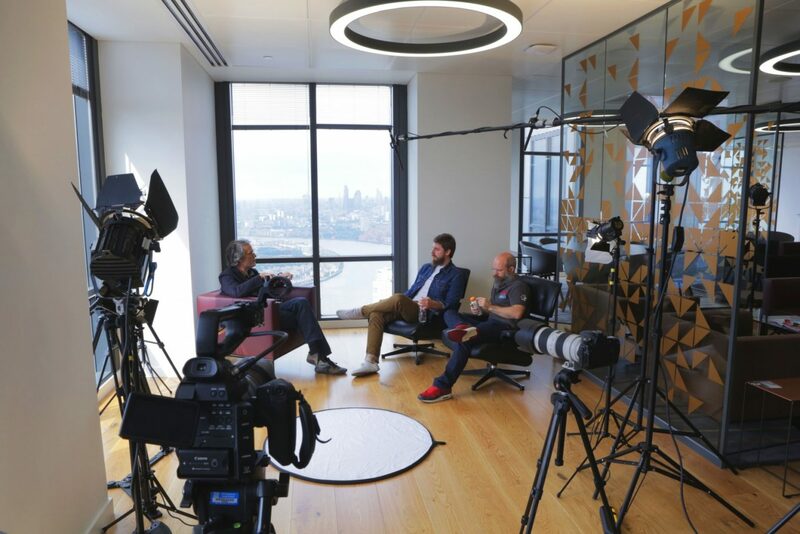 In the weeks since filming, they’ve kicked off their new monthly Chew The Fat series of discussion events with high profile entrepreneurs, founders, VC’s and other epic people while expanding Silicon Drinkabout to Copenhagen, Manchester, Amsterdam, New York, Toronto, Sofia and São Paulo. Our discussion with 2/3 of the Beards include Michael Hobson, 3Beards co-founder and Resident Designer and Jo Scarboro who jumped from enterprise to the bearded bunch as well as his own start-up. About the Beyond Solutions series. Produced by IntelligentHQ, hosted by Groupe INSEEC London and presented by Daniel Steeves, Beyond Solutions is a “mostly pitch-free” environment: discussions will necessarily include product and company references but, hopefully, used to illustrate rather than to sell.